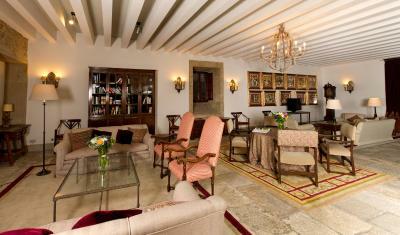 Lock in a great price for Parador de Santiago - Hostal Reis Catolicos – rated 9.1 by recent guests! 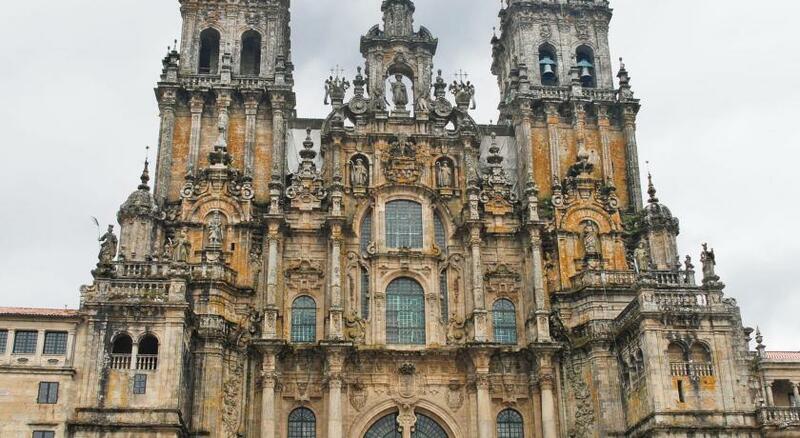 we had just completed our Camino so it was a really welcoming location to be so close to the cathedral. 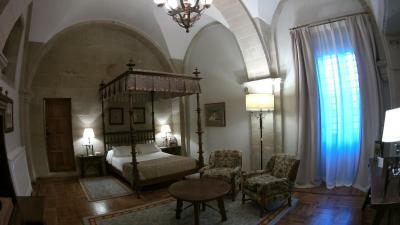 Staff were lovely and the twin rooms were fabulous. Breakfast was amazing. It was lovely to learn about the history of the hospital and be so central. 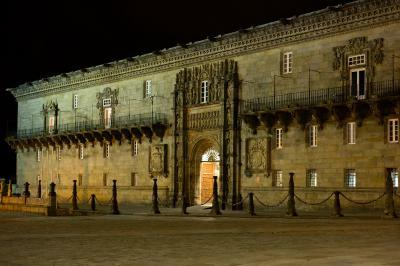 The Parador de Santiago is located on the square with the Santiago Cathedral and was initially the hospital for Pilgrims associated with the Cathedral. 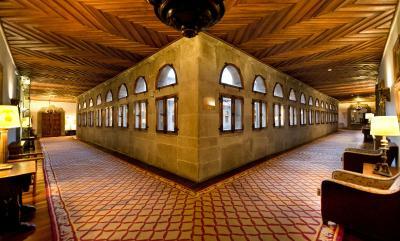 It is a beautiful building and the common areas are open for touring complete with a guide. 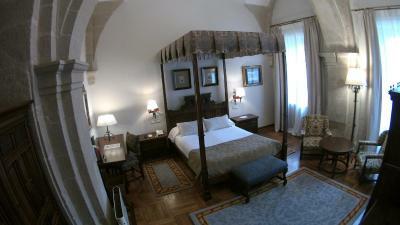 Our room was large with windows over a courtyard and was historically decorated. The doorman parked and retrieved our car for us. 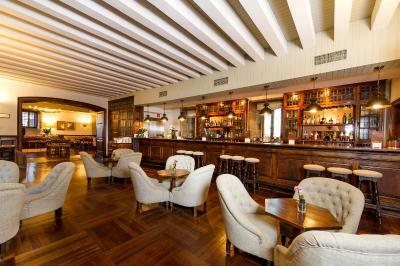 We enjoyed an afternoon break in the bar here. I enjoyed the historical property and central location. 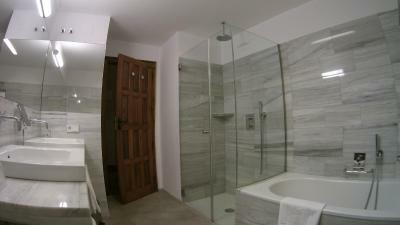 It enhanced the experience of visiting Santiago. 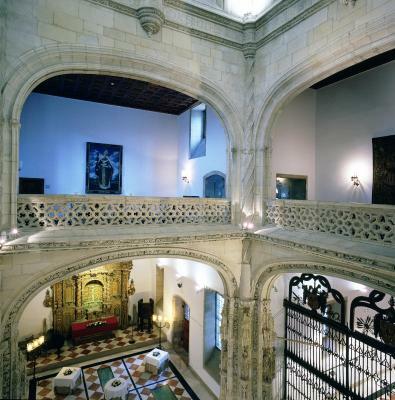 Gorgeous historic property next to the Cathedral. The front desk staff was friendly, helpful and accommodating. The breakfast provided was exceptional with a wide range of options and local specialties. 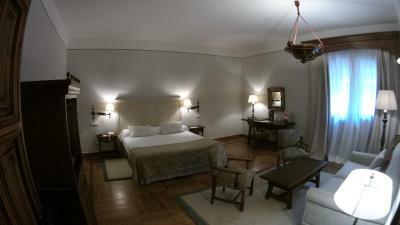 The lay-out of the room was great and the bed was very comfortable. 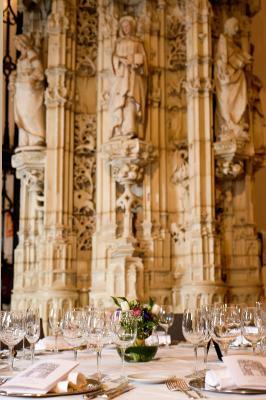 The staff was very helpful and the entire experience was fantastic. I will definitely return. The history of the property. The excellent service from staff. The knowledge of all employees throughout the hotel. Extremely attentive with our needs. 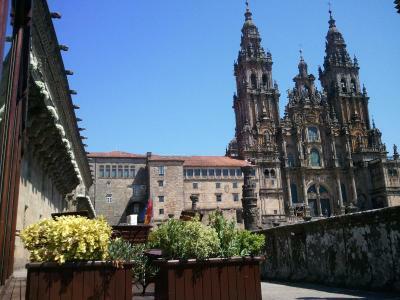 I would make this hotel my first choice in Santiago de Compostela. Great location very relaxing. Staff was great. Breakfast was excellent. Highly recommend it! We were overwhelmed by the history and uniqueness of this hotel. Every inch was painstakingly restored. The staff was exemplary. The breakfast buffet was 5-Star. 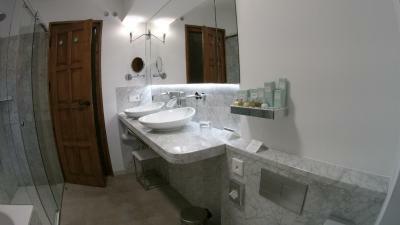 Mostly, our suite was incredible, with comfortable bed andwell appointed bath. The description online was very accurate. 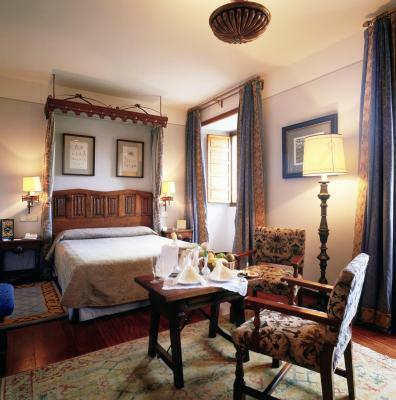 We highly recommend this hotel to any travelers wishing to enjoy Santiago and enrich themselves in history and luxury for a great value. 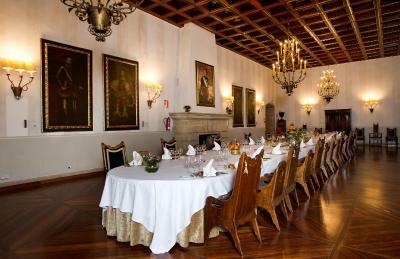 Parador de Santiago - Hostal Reis Catolicos This rating is a reflection of how the property compares to the industry standard when it comes to price, facilities and services available. It's based on a self-evaluation by the property. Use this rating to help choose your stay! 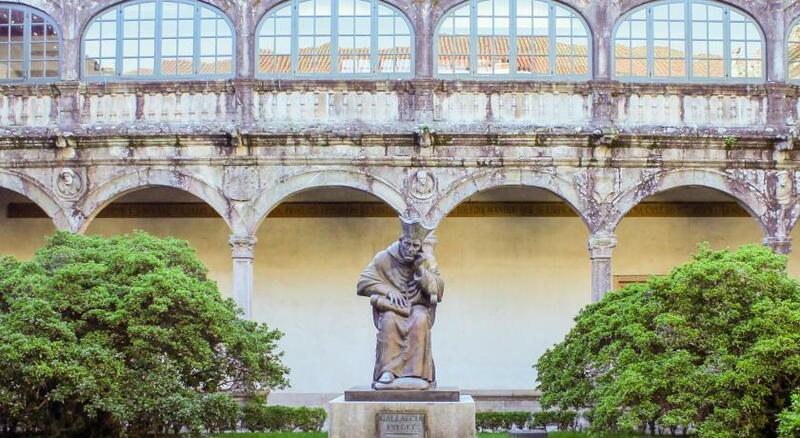 One of our top picks in Santiago de Compostela.Parador de Santiago - Hostal Reis Catolicos is in a beautiful 15th-century building next to Santiago’s famous cathedral. 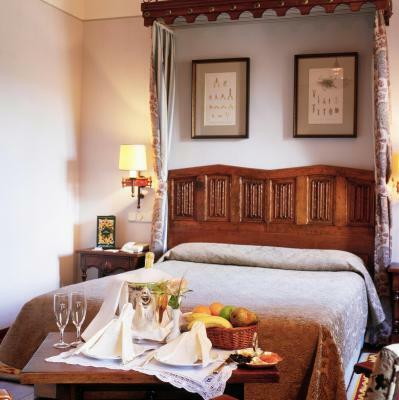 This impressive property features rooms with four-poster beds and free Wi-Fi. 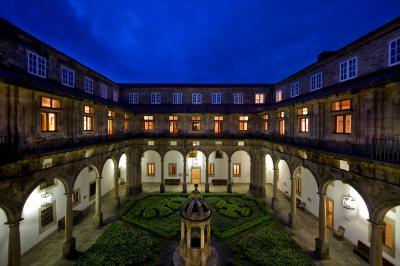 Once a lodging for pilgrims, the Parador maintains many of the building’s original features including vaulted ceilings, stone archways and tapestries. 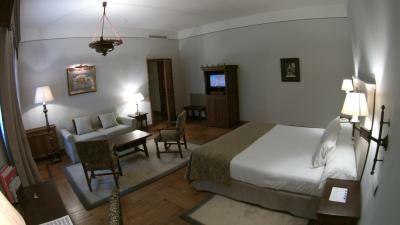 Each spacious room has classic décor and has satellite TV and a private bathroom. 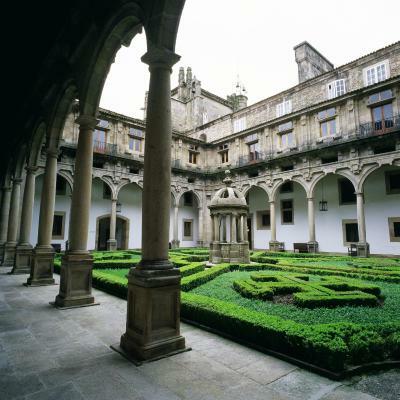 The Reis Catolicos is set on Plaza de Obradoiro and features 4 impressive cloisters. 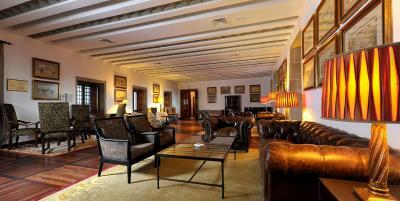 It has a number of lounge areas for guests to relax in. 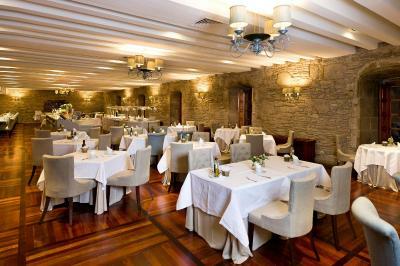 The hotel’s 2 restaurants feature exposed stone walls and candelabras. 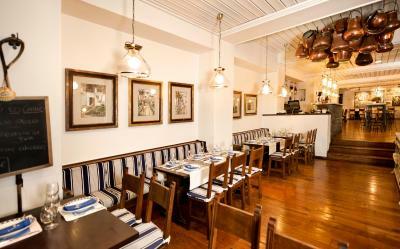 The Dos Reis serves a range of Mediterranean cuisine, and the Enxebre specializes in seafood and traditional Galician dishes. A buffet breakfast is served daily. 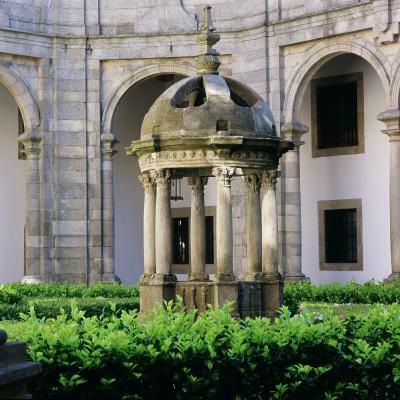 The Reis Catolicos is within Santiago de Compostela’s picturesque historic quarter. The city’s train station is just over half a mile away. 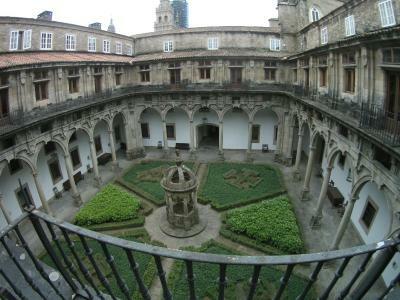 When would you like to stay at Parador de Santiago - Hostal Reis Catolicos? 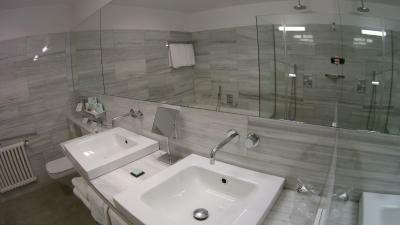 This spacious room has classic décor, satellite TV and a private bathroom. This room has air conditioning and mini-bar. This room features a satellite TV, mini-bar and air conditioning. 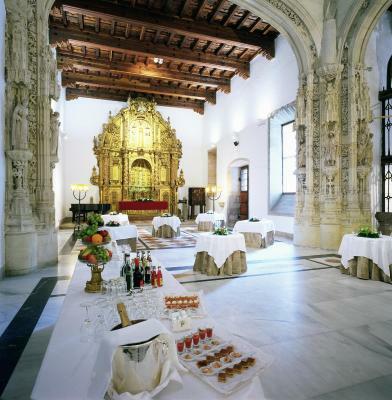 The Hostal dos Reis Católicos, with over 500 years of history, is considered one of the world's oldest hotels. 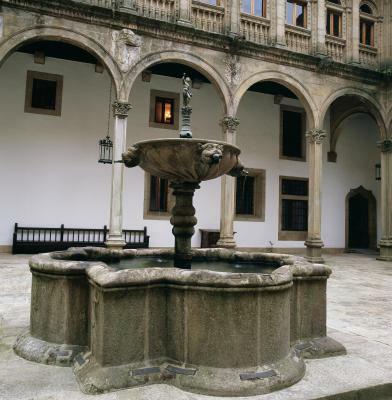 House Rules Parador de Santiago - Hostal Reis Catolicos takes special requests – add in the next step! 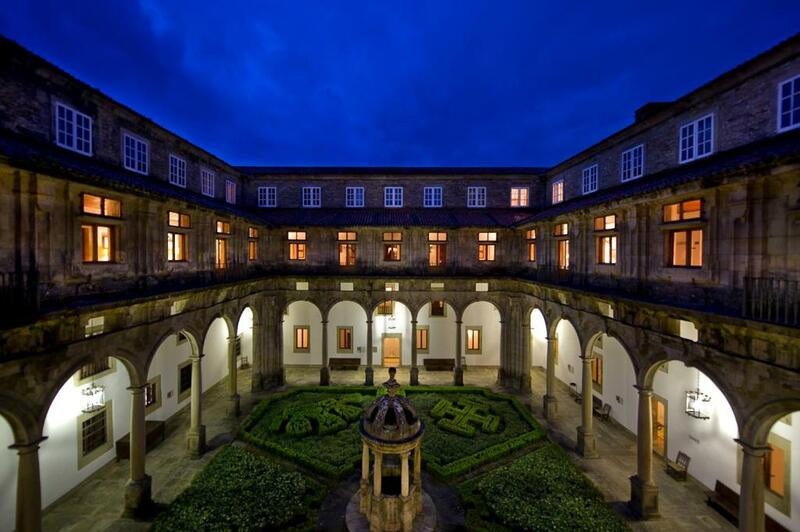 Parador de Santiago - Hostal Reis Catolicos accepts these cards and reserves the right to temporarily hold an amount prior to arrival. Parking is subject to availability and reservation is not possible. Fab hotel, building was stunning, full of history, charm, character! Dining experience throughout was great, especially breakfast! The hotel was extremely difficult to find once in the city. Initially there were signs toward the hotel but these petered out with the cathedral in sight leaving us to wander in frusration stopping police, taxi drivers, locals etc to ask for the way into the main square. Arrived feeling annoyed and aggravated. Very bad way to start. Staff were not realkly interested in this complaint. 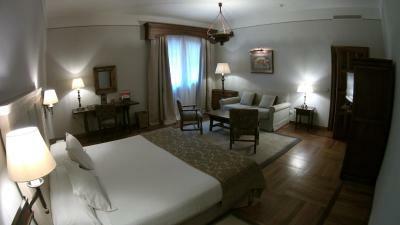 the hotel was remarkable but lacked a welcoming atmosphere--a bit like living in a museum. Attention to detail was also lacking--e.g. flowers on table in reception were allowed to wither and sit there dead for 2 days before being replaced. Not what you expect from a 5 stat hotel Also the main square itself was somewhat overrun with pilgrims, tourists, school children, tours and beggars. i suppose this is inevitable but it detracted rather from the sense or awe and beauty. Some drawbacks are inevatble in the buldings of that age - poor wi-fi signal, and you have to wait some 10 minutes in the morning for hot water to run. They don't spoli general impression though. 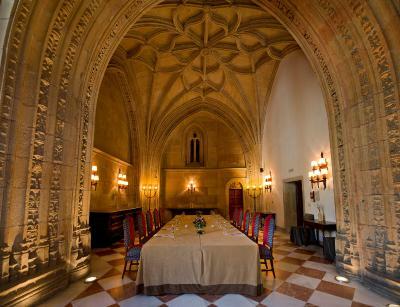 A real museum with elegant, atmospheric, and very comfrortable rooms. Unbeatable location. Excellent breakfast. 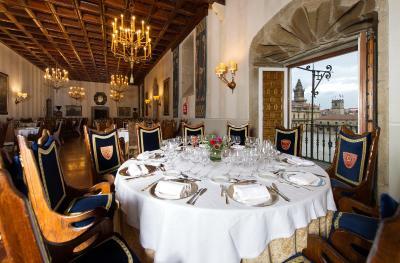 Amazing mixture of history with all modern comfort. 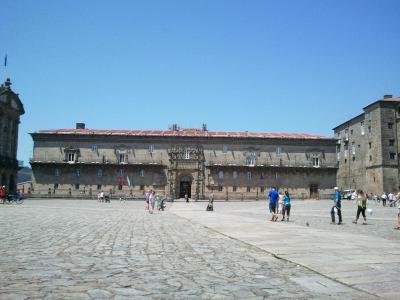 The parador is a little difficult to find. I can’t think of anything that wasn’t absolutely perfect. Beautiful old building. Very tastefully and sympathetically restored. 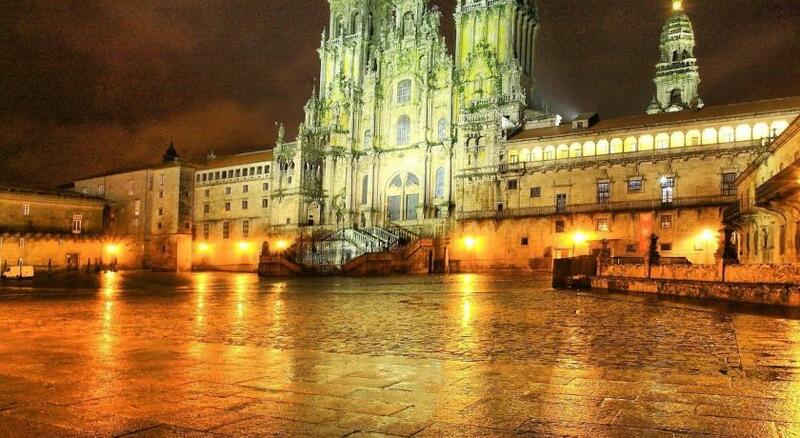 The position is perfect - right in the Cathedral square and in the old town for Tapas, sight seeing etc. I did have problems with booking on line. No Coffee facility in 5 star hotel ,firts time ever. 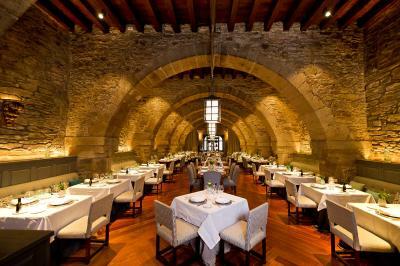 Staying at the Parador was my luxurious reward at the end of walking the Camino de Santiago. It was absolute heaven! One of the best bath's I've had! I'll definitely stay again! Comfort of bed, too hard for arthritis sufferers.